The Crimson Claymore is an Epic Fantasy adventure novel that has garnered millions of reads, was featured in fantasy, had more than 17,000 votes, and more than 1,000 comments/reviews on the social networking platform for readers and writers, Wattpad. Searon is gifted with keen sight, hearing, and a brilliant claymore. Oh, and a sarcastic wizard who stalks him. Too bad some gifts cannot be returned. The brave warrior Searon is haunted by the deaths of his wife and children at the hands of the savage reptilian draeyks, who are on a bloodthirsty rampage. He walks the land of Calthoria alone and thirsty for vengeance. He hunts the creatures down one by one, showing no mercy. But Searon is a one-man armyâ€”and no match for the legions of murderous draeyks. Lucky for him, the powerful wizard Karceoles finds him during his travels and enlists Searon in this coming war. Karceoles believes Searon can unite the races to defeat the draeyks once and for all. Searon discovers he can do more damage with Karceoles and a band of warriors they find along the way. But as the war rages in earnest, Searon must make a choice: Is it more important to destroy the draeyks at all costs, or will his quest for vengeance endanger the lives of his new brothers and sisters at arms? 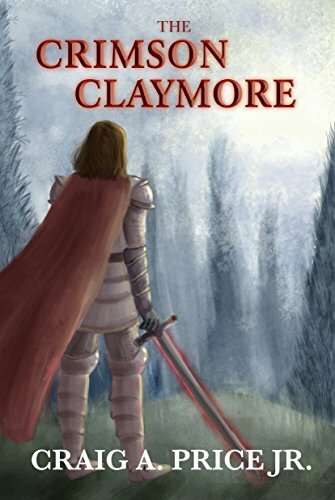 The Crimson Claymore is book 1 in a new epic fantasy series. The prequel and its sequel are scheduled to come out later this year.